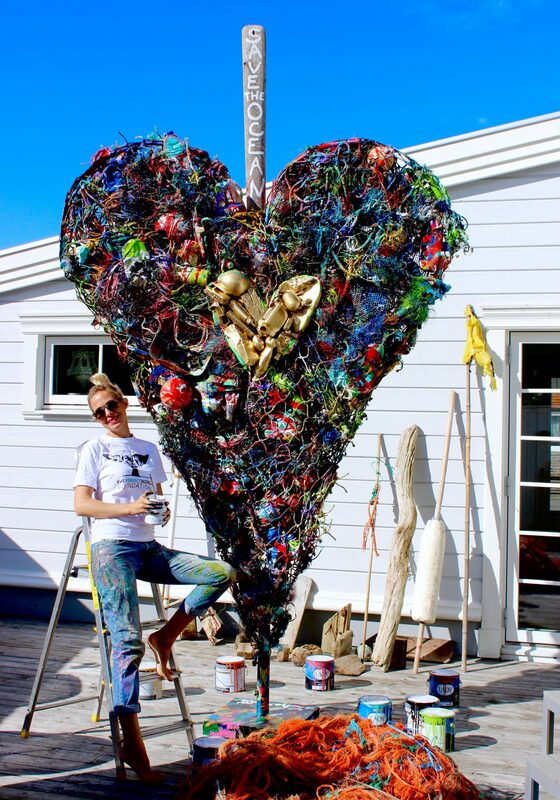 This heart is entirely sculptured of recycled materials found in the Ocean. Gothenburg-based artist Charlotte Olsson’s purpose with this almost four meter high sculpture is to draw attention to the significant environmental problems in the Ocean. Sir Richard Branson, Sarah Ferguson The Duchess of York, Dr Sylvia Earle, Leif Pagrotsky, Ola Skinnarmo, Johan Elmander, Agneta Sjödin, Mikkey Dee, Team Anna, Lasse Gustavsson, Världens Vackraste Skärgård, etc has all helped Charlotte collecting the plastic waste. Charlotte has shown her unique upcycling-art all around Europe and she is one of the very few Swedes who have exhibited her art at The European Council of Human Rights in Strasbourg. This particular art project is a collaboration with The Perfect World Foundation and the profit will contribute to their important work – Save the Ocean! 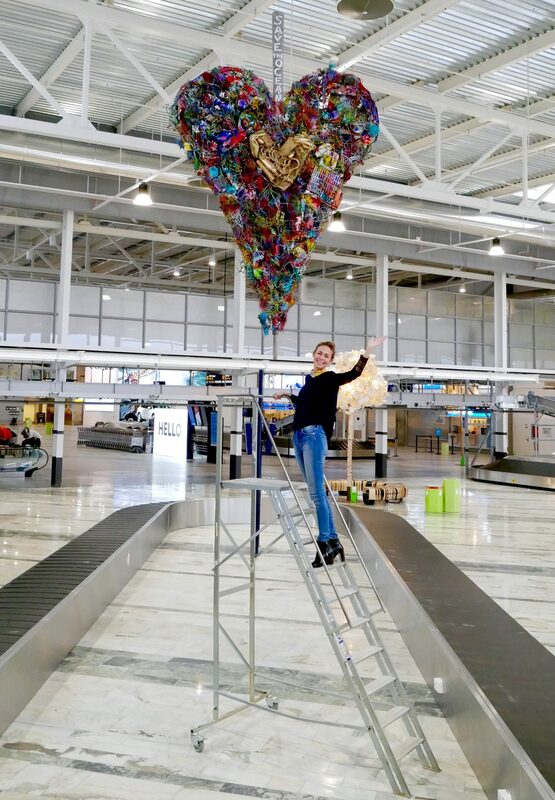 “The Plastic Heart” is on display in the Arrivals Hall at Landvetter Airport as of now and during spring 2018. Thank you Jotun and Färgspecialisten for donating eco-friendly paint to the project.